Feeling like you don't connect with friends at school or coworkers in the office is one thing, but feeling like you don't connect with your family is a whole different ballgame. 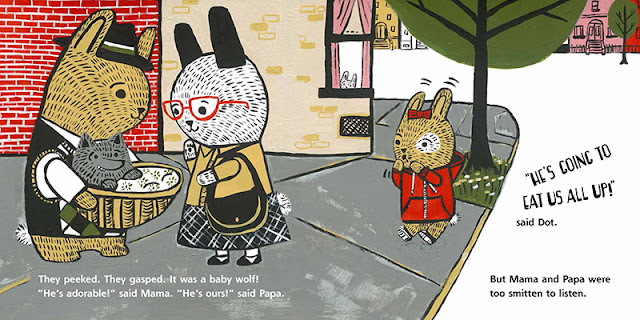 There are lots of picture books that tackle adoption, but so many of them feature animals as the main characters. Using animals makes things easier on so many levels: you can use different species to enhance the visual differences, predators and prey can be thrown together, and the two can have very different ideas of what family fun means. 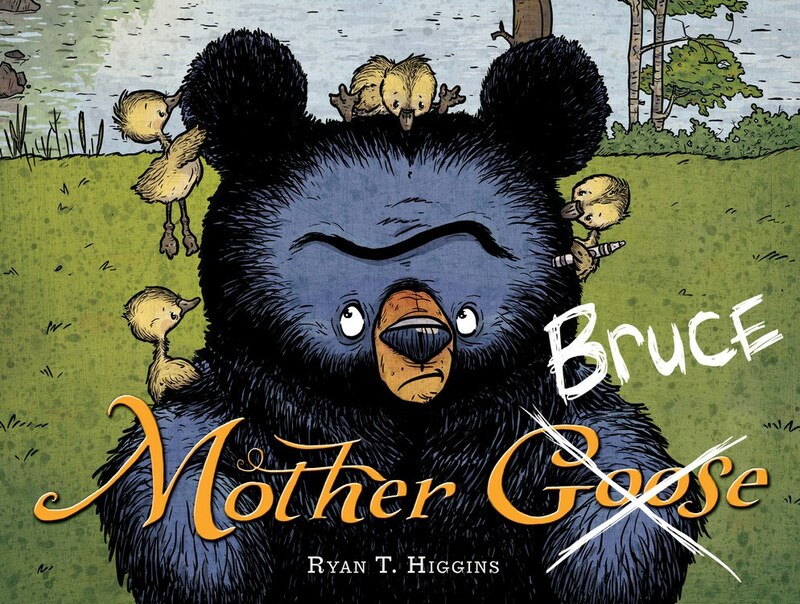 Mother Bruce by Ryan T. Higgins is one of my favorite books right now, so I'm very excited to lead with it. It's a great example of a family thrown together where the two species are vastly different than each other. Higgins accentuates their differences in the cutest ways, having the two constantly juxtaposed: while Bruce takes up a whole branch, the goslings can all fit on one, and while Bruce is a dark black, the goslings are light yellow. It's clear that these two species of animal didn't form their family in a traditional way, but we watch as Bruce eventually accepts them into his life. They get physically closer as the book progresses, and Bruce finally stops turning his back to and walking away from them. It gives us a sense of hope that Bruce will eventually come around to the goslings, and the ending is absolutely fitting and hilarious. 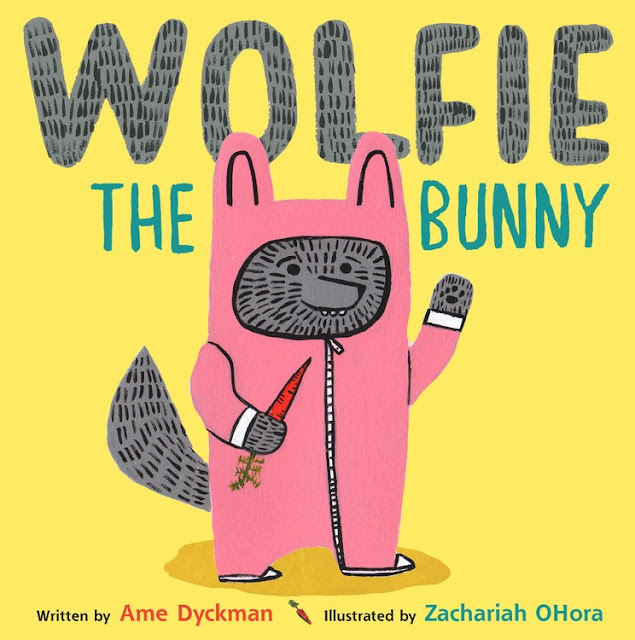 Wolfie the Bunny by Ame Dyckman and Zachariah OHora is a fantastic example of a book that has predators and prey in the same family. 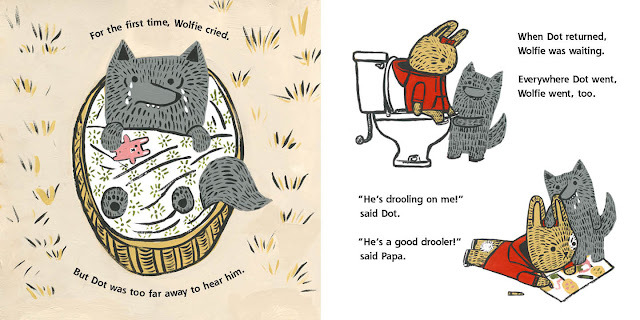 When Dot's parents decide to adopt a wolf baby, Dot has her serious doubts about the wolf's ability to control himself. Siblings are never easy to deal with, adopted or not, and mixing natural enemies into the same family places Dot in a comically paranoid position--she can't get away from her baby brother, just like older readers can't get away from their baby brothers. Readers relate to Dot as she struggles with--and ultimate accepts--her brother. 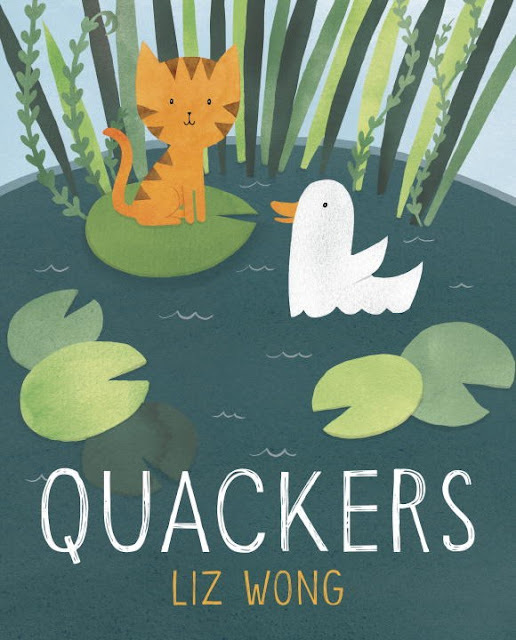 The opposite is true in Liz Wong's Quackers, which tells the story from the side of the adopted child. 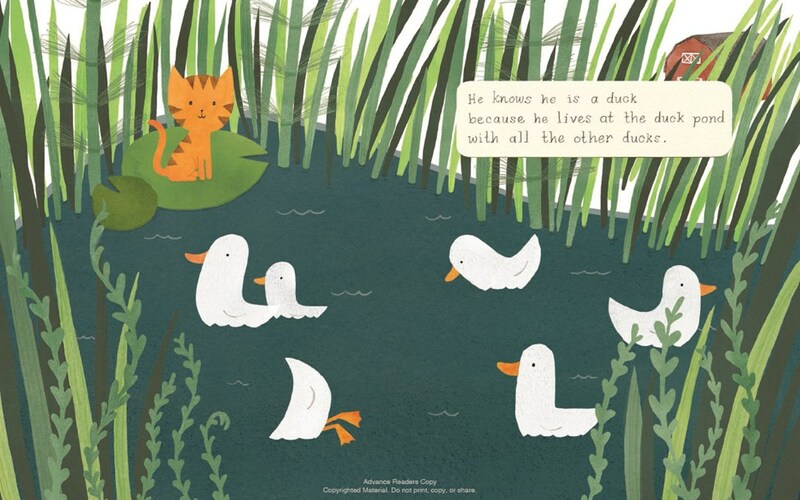 Poor Quackers is a cat amongst ducks, and he doesn't know it. 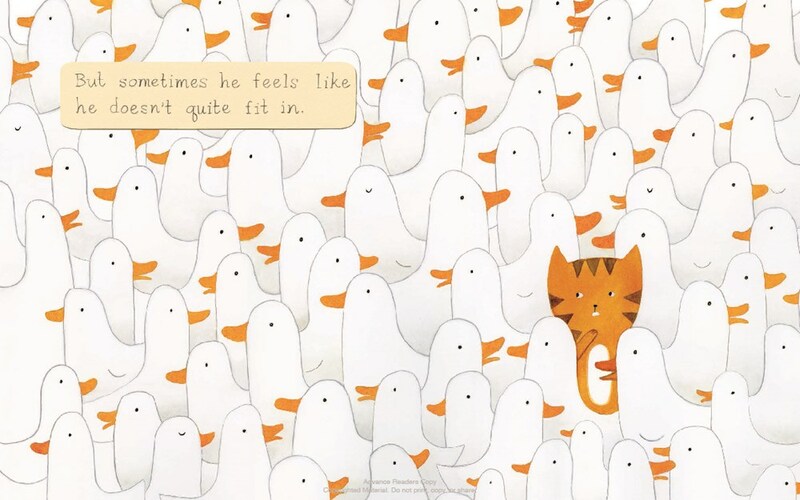 Quackers knows he's different, but doesn't understand why. He hates water--which often causes him to be apart from his family--and so many of the other things ducks love. Quackers doesn't connect physically or emotionally to his duck family. Why doesn't he love the things they love if he's a duck? It's not until he meets other cats that he even realizes he's an entirely different species. Quackers eventually decides to make the most of what he has and joins both families, and he's given a major sense of clarity on his journey to finding himself.